Including coverlet, bumper and fitted sheet, the designer 3 piece crib bedding set from Bizzi Growin provides warmth and comfort to your chosen crib / cradle. 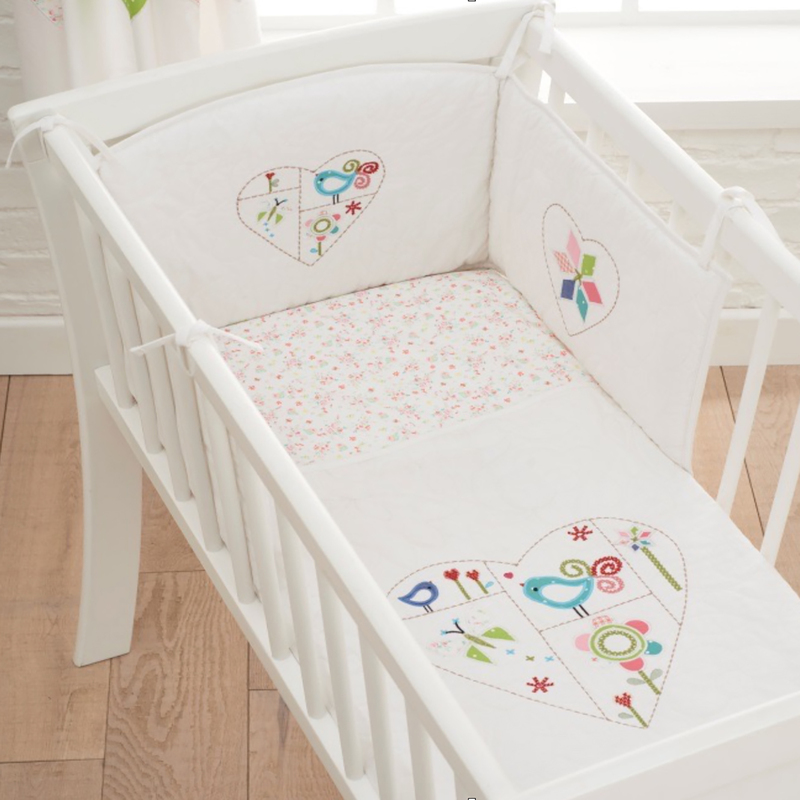 With an adorable design which incorporates delicate and charming patchwork and appliqué techniques the bedding features beautiful floral patterns and hearts filled with colourful doodles. Coordinating with the Doodles nursery range, the crib set is sure to add the finishing touches to the perfect nursery. Great thank you, came the day after I ordered! And very cute! It's so nice, really worth buying it from here, good quality.